ONE REALTOR© or the POWER and PROFESSIONALISM of a TEAM? The Listing Agreement (LA) is a contract between a Homeowner and a Real Estate Brokerage to sell a home. The Broker of Record, in turn, authorizes his or her Sales Representatives and/or Brokers (REALTORS®) to sell the home. Chances are you will deal exclusively with the REALTOR® and never meet the Broker of Record. The LA performs three basic functions. First, it establishes the agency relationship between the Brokerage and the Homeowner. Most importantly, it outlines the limits within which the Brokerage may act. For example, it states how long the contract between the Brokerage and Homeowner will last. Secondly, it provides details about your home. These details give other REALTORS® and prospective Buyers information that will help them decide if your property meets their needs i.e., is the garage attached or detached? These details are particularly important if your property is a Multiple Listing Service (MLS) listing because the REALTOR® representing the Buyer may work for another company and may not have ever actually seen your home. Finally, the LA provides the framework for an initial offer from a prospective Buyer. More specifically, when the offer is submitted the legal description and list of items to be included with the property are normally based on the LA. Be sure to proof read carefully! The Contract Between the Owner and the Brokerage which outlines the specifics of the contract including the amount of commission payable, the street address of the property, the effective date of the listing, and, of course, appropriate signatures and witnesses. Copies are provided to all signatories. The Details of the Property including the size and number of rooms, directions to the property, lot and house sizes, easements, encroachments, items to be left with or taken from the house at the time of sale (fixtures and chattels), your preferred possession date, and, perhaps most importantly, any other remarks. This is the easy-to-read narrative part of the form and quite often a prospective buyer will read the remarks first! Many Real Estate boards are also asking Homeowners to complete a Seller Property Information Statement (SPIS) which will provide even more detail about your property. This is usually a 'check the box' style document and is completed and signed by the Homeowner. In this Statement, the Homeowner is disclosing anything related to the property that he/she may be aware of, but that may not be readily apparent to a potential Buyer. For example, is the lot subject to flooding? Are there any easements over the property? Are there any structural problems with the home? On occasion, Homeowners are reluctant to complete the SPIS. However, keep in mind that if this form is not completed, a potential Buyer may think you have something to hide and will be wary of making an offer. Furthermore, if an offer does come forward, it could be conditional on you completing a SPIS that is satisfactory to the Buyer. One of the benefits of completing the SPIS is that the new owner cannot claim that he/she did not know of an actual or potential problem with the property in advance of the purchase, thus preventing future legal action against you for non-disclosure. This article has touched on the major components of the Listing Agreement. When you hire a REALTOR® to sell your home, he/she will review the entire document with you in detail. It is important that you read and understand what you are signing, particularly with regards to the Contract and SPIS portions of the Agreement. 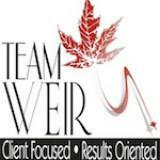 David Weir BA, CD is the Broker/Owner of Royal LePage ProAlliance Team Weir, Brokerage in Trenton. His sales in the Quinte area have ranked him in the Top 1% of all Royal LePage REALTORS® in Canada since 2005.